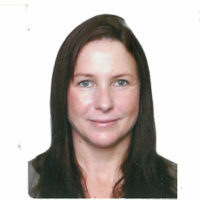 Wendy Lipworth is Senior Research Fellow, Sydney Health Ethics, University of Sydney. She is a medically trained bioethicist and health social scientist. Her research focuses on the ethics and politics of health technology innovation: how new medicines and other health technologies are developed, tested, regulated, funded and used in practice. Her work is motivated by the fact that health technology innovation is highly political and involves many different stakeholder groups, each of which has its own interests, which can compete and conflict. 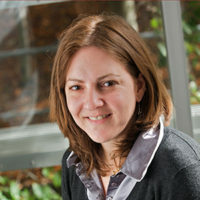 Tamra Lysaght is Assistant Professor, Centre for Biomedical Ethics, Yong Loo Lin School of Medicine, National University of Singapore. Her research interests include the sociopolitical, ethical and regulatory issues surrounding stem cell innovation, regenerative medicines, precision medicine, genomics and reproductive technologies. She has worked on policy issues with the Committee for Ethics, Law and Society of the Human Genome Organisation, the Technical Working Group on Ethics at the World Health Organization, the Singapore Ministry of Health and Bioethics Advisory Committee. Biomedical innovation is a major societal priority, and public and private funders invest heavily in the development of new health technologies such as medicines and medical devices. However, the innovation pathway is complex, involving multiple processes that include pre-clinical and clinical testing, product registration by the Therapeutic Goods Administration (TGA), subsidisation on the Pharmaceutical Benefits Scheme (PBS) or Medicare Benefits Schedule (MBS), and integration into clinical practice. All of these processes need to be successfully navigated before patients are able to access new health technologies. While these arguments are compelling and underscore the importance of timely access to the products of biomedical innovation, it is important to keep in sight the harms that can occur when new health technologies are offered to patients without sufficient regulatory oversight. Tens of thousands of patients have since undergone surgical revision, while many more suffer adverse side effects and require ongoing monitoring. In this context, it is difficult to sustain the argument medicine should be viewed as a marketplace shaped by the choices made by fully-informed consumers. In arguing for more rapid access to medicines, consumers frequently point out that, while cases such as those described above are tragic, it is they—not researchers, doctors or the health system—that are taking the risk, and that they, as informed consumers, have the “right” assume this risk if they so choose.12 While it is certainly true that consumers should be allowed to choose how much risk to take on, it is also important to bear in mind that consumers—and, indeed, their doctors—are not always well informed about the risks associated with new health technologies. This is not only because of the uncertainties inherent in evidence-based medicine, but also because messages about safety and efficacy may be actively manipulated by those with vested interests. In this regard, it is noteworthy that in both the Vioxx11 and vaginal mesh cases,9 there is evidence that doctors and consumers were actively misled by those manufacturing and/or selling these products. In this context, it is difficult to sustain the argument medicine should be viewed as a marketplace shaped by the choices made by fully-informed consumers. None of this is to argue against consumer advocacy for faster access to health technologies. It does, however, raise two fundamental questions for consumer advocates: first, what do consumers really know and want when it comes to access to health technologies? And what responsibilities do consumer advocates have to balance (valid) calls for access to health technologies against (equally valid) demands for thorough regulatory oversight? Ghinea N, Little M, Lipworth W. Access to high cost cancer medicines through the lens of an Australian Senate Inquiry – defining the’goods’ at stake. Journal of Bioethical Inquiry. 2017;Published online 18/7/2017. Ridings J. The Thalidomide Disaster, Lessons from the Past. In: Barrow P, editor. Teratogenicity Testing. Methods in Molecular Biology (Methods and Protocols), vol 947. Totowa, NJ: Humana Press, 2013. Johnson J, Rogers W. Joint issues–conflicts of interest, the ASR hip and suggestions for managing surgical conflicts of interest. BMC medical ethics 2014;15:63. Carr A. Follow-up of patients with metal-on-metal hip replacements: British Medical Journal Publishing Group, 2017. Hutchison K, Rogers W. Hips, Knees, and Hernia Mesh: When Does Gender Matter in Surgery? IJFAB: International Journal of Feminist Approaches to Bioethics 2017;10:148-74. Maher CM, Feiner B, Baessler K, Glazener CM. Surgical management of pelvic organ prolapse in women: the updated summary version Cochrane review. International urogynecology journal 2011;22:1445. Onakpoya IJ, Heneghan CJ, Aronson JK. Delays in the post-marketing withdrawal of drugs to which deaths have been attributed: a systematic investigation and analysis. BMC Med 2015;13:26. Krumholz HM, Ross JS, Presler AH, Egilman DS. What have we learnt from Vioxx? BMJ 2007;334:120.